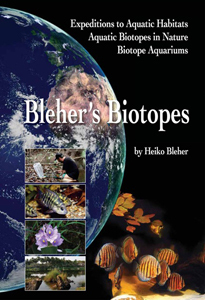 Especially for you we have made a selection of the most interesting books and magazines devoted to the study of underwater biotopes and biotope aquaria. 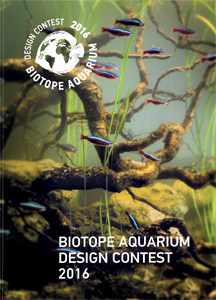 We proudly present to you the magazine entirely dedicated to biotope aquaria. 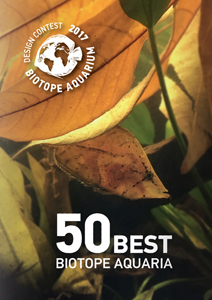 This magazine was printed in limited quantity and contains unique information about 50 biotope aquaria: beautiful illustrations, detailed descriptions of biotopes, as well as an informative article to find out main secrets of this fascinating field of the hobby. This year you will get a bonus: the photos of the winners of 2011-2016. The magazine got 4 pages bigger compared to the previous issue. This magazine was printed in limited quantity and contains unique information about 85 biotope aquaria: beautiful illustrations, detailed descriptions of biotopes, as well as an informative article to find out main secrets of this fascinating field of the hobby. An unsurpassed and comprehensive study of the genus Symphysodon. Whether it was the Emperor Napoleon or Prince von Metternich who was responsible for the original discovery of the discus is something the reader himself must decide, but the rest of this more than 1300 page work – published in two volumes – is far from ambivalent. In Volume 1 – containing around 5000 photos, paintings, and drawings, plus some 50 maps – Heiko Bleher first of all guides you through more than 150 years of discovery, documented in the finest detail. He brings to life all the scientists who have worked on the genus – with in part unpublished work and photos – and, after almost half a century of debate regarding the systematics of the genus, provides a new and easy-to-understand summary of the taxonomy. Next, the distribution of the genus and the individual species is shown practically down to the smallest igarapé or lago, on eight double-page maps. For the first time with precise details of water type, researched in the field. In the fourth chapter Bleher covers all the wild forms known to date (some hitherto unpublished) and their colour variants, in words and photos – the results of his more than 300 research and collecting expeditions. The locality data have been extensively checked in the field over the years up to 2005. In Chapter 5 he guides the reader through the history of Amazonia – back to the time of its discovery – and tells extensively about the early history of the region and the numerous indian tribes (mainly personal experiences among the aboriginals). 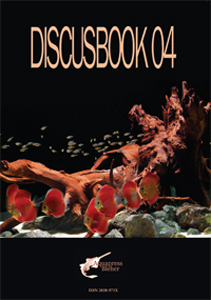 In addition the natural habitats of the discus are described and illustrated, with water parameters (measured by both day and night) given for 75 different locations; almost every major water in Amazonia is mentioned at length, with details of which form(s) do or do not occur there; and places that remain unexplored to date are listed. He also details extensively – more than 80 pages – the diet of the discus in nature, the communities of which it forms part (with sympatric species listed) and its enemies, as well as the various methods of capture used from the beginning to the present day. 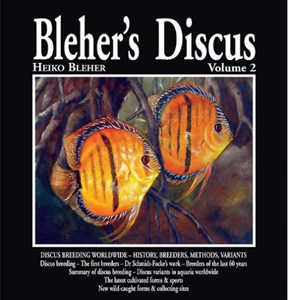 In this volume Heiko Bleher documents the entire history of discus breeding – from its first beginnings to the start of 2011 – in finest detail, illustrated with over 4000 photos and with a special foreword by Jack Wattley. Chapter 6 features a previously unpublished manuscript by Eduard Schmidt-Focke (1913-1998), to whom the book is dedicated posthumously. “The Doctor” is universally regarded as the father of modern discus breeding, as many – if not the majority – of the cultivated forms that exist today originate from him. His forms are documented in text and pictures, from his early days right through the end. The same chapter also immortalises other pioneers of discus breeding worldwide, their history and achievements, as well as modern discus breeders all over Europe, the Americas, Africa and the Antipodes. And, of course, in Asia, nowadays the “capital” of discus breeding; all the cultivated forms have been researched in detail, revealing the ancestry of the so-called Pigeon Blood and the other multitudinous variants and sports, often with “fantasy names”. More than 700 breeders from 50 countries are included, with details of their set-ups, methods, secrets, and tricks – the vast majority hitherto unpublished anywhere in the world. 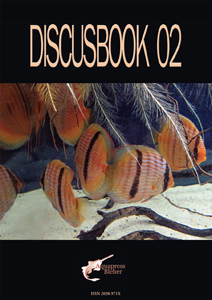 The chapter concludes with a detailed and easy to understand overview of the optimal breeding methods for both wild-caught discus and cultivated forms, based on the author’s extensive knowledge accumulated over several decades. 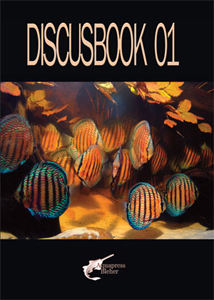 Chapter 7 presents the discus variants cultivated worldwide, with details of their breeders, in Europe, the Americas, Asia, Africa, and Australia, and includes the latest cultivated forms and new wild-caught variants discovered since the publication of volume 1 in 2006. The book concludes with the latest information on the classification of cultivated forms, plus updates on taxonomy and distribution. 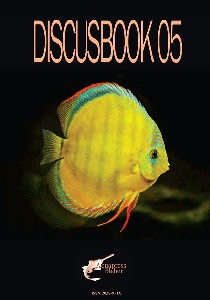 This new publication from Aquapress Publishers is a milestone for nature lovers, explorers, Amazon lovers, for those who want to know about the newest discus and other Amazonian discoveries full with prime photography exclusively by Heiko Bleher, Natasha Khardina and Aquapress Publishers, never published anywhere before. One can find unique and truly new loricariid catfishes (20 pages), from Brazil, Colombia and Venezuela; discovery of new discus variants, new angelfishes and an overview of the 9 angelfishes recognized by Heiko Bleher throughout South America; new discoveries in never before explored Amazon regions; rediscoveries; first conversation with breeders never interviewed; authentic biotope aquariums for discus into the last detail; journey’s to untouched Amazon regions unknown to white man and much more. The 2nd annual edition from Aquapress Publishers is another milestone for nature lovers, explorers, Amazon lovers, for those who want to know about the newest discus and other Amazonian discoveries from 2010 and 2011. 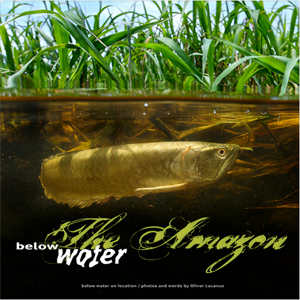 Packed with the history of two beautiful Amazon lakes and prime photography exclusively by Heiko Bleher, Natasha Khardina, Aquapress Publishers archive and other renown authors. All articles and photos are firsts – never published anywhere before. 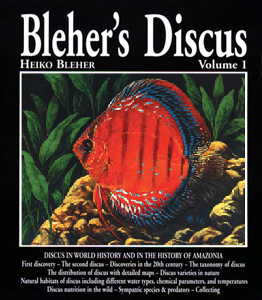 In this issue there are not only discus breeding news, but also a fascinating and unique discoveries. Here you will find the story of the discovery of the discus in 1878 and its re-opening in 2012, Loricariidae catfish from the Amazon River basin, Lake Curuaí history and new varieties of discus, biotope aquarium for discus and altum, aquascape with discus, additional information on the distribution of the discus, the first international Mediterranean championship of discus and biotope aquarium design contest in Athens, Greece. In this issue of the annual magazine you will find the study of Purite river, loricariid catfishes from the Meta River, Echinodorus for discus biotope aquarium, angelfish, and an article about the lake Uauaçu. In this issue of the annual magazine you will find information about the miniature paradise – Jandiatuba river, Loricariidae catfish from Santarem, Heckel discus in Canumã, biotope aquaria, discus farm, as well as their types, varieties and distribution. In this issue of the annual magazine you will find information on the Napo River, the expedition 2015, an unknown region, where 21 Indian nomadic tribes live, world biotope contests: in Italy in 2016 and in Russia in 2015 and loricariid catfishes from the Napo River. Let yourself be whisked away on a fascinating journey through the underwater worlds of Columbia, Brazil, Sarawak, Florida, and Sulawesi with 200 breathtaking coloured pictures and 200 pages of pure enthusiasm. All life comes from water! All life is sustained by water! You cannot find a more fitting expression – life on our planet simply would not be possible without water. A large part of Earth’s surface is covered in salt water, which is home to an incredible diversity of different organisms, and life in fresh water also thrives in breathtaking variety. However, this indispensable basis for life on Earth is endangered. Daily, the media are full of reports about water shortages and water pollution. This coffee-table book stands for the beauty and the integrity of untouched aquatic worlds, which we need to protect! During our Plantahunter tours, we found unique underwater landscapes, and we were able to capture their beauty in fantastic pictures. Under water, humans are mere “guests” – looking at a strange world they are outsiders to. The world’s first comprehensive work on all types of crayfishes was re-released, updated and supplemented by beautiful photographs. Each species is described precisely with its lifestyle and distribution. Gorgeous photos show the diversity of these fascinating animals and illustrate everything you need to know for the aquarium setup and care. Over recent years, there has been a particularly great increase in the popularity of shrimps with aquarists, but initially very little was known about these animals and their husbandry was often problematic. For this reason, Chris Lukhaup and Werner Klotz decided at an early stage to travel to the countries of origin to research the animals and the way they live. 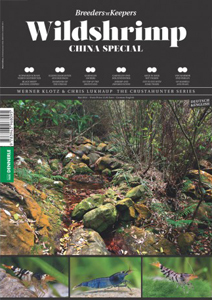 Southern China especially is a hotspot for various shrimp species and so this special booklet from the Breeders’n’Keepers series deals with the shrimps and habitats of the vast red empire. A Crustahunter trip with 125 pictures, lots of adventures and discoveries about wild shrimps. Oliver Lukanus is known in the world as a catcher of fish, exporter and photographer. The book has 346 pages and contains about 1,000 photos. Here you will find photos of fish in their natural habitat: from rummynose tetra, angelfish and discus to arawana, rays and hundreds of other species. Also, the attention is also payed to aquatic plants, birds, mammals and amphibians, as well as the locals and their way of life. Each aspect is illustrated. If you are looking for inspiration for the next biotope or planted aquarium, then this book is for you. The book is about the wonderful world of nature biotopes of Mexico. Superbly illustrated edition contains many unique details about the fish that inhabit rivers. 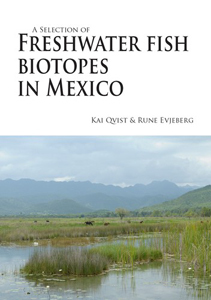 Aquarium experts have already evaluated the book and recommended it to reading to veryone who enjoys Mexican species of fish. The Danish authors try to write their books not in a boring documentary style, listing various facts that are often quite hard to read, the book is written very lively. 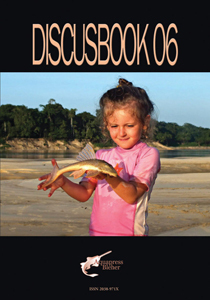 The book contains maximum information about the habitats of fish: pH, hardness, phosphates, nitrates, oxygen levels, and other information, it is impossible to get it from anywhere else. 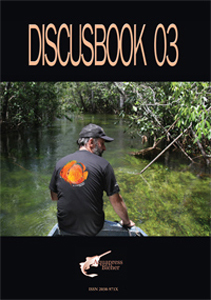 The book is about the wonderful world of nature biotopes of Yucatan Peninsula in Mexico. Superbly illustrated edition contains many unique details about the fish that inhabit rivers. 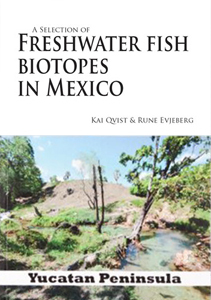 Aquarium experts have already evaluated the book and recommended it to reading to veryone who enjoys Mexican species of fish. The Danish authors try to write their books not in a boring documentary style, listing various facts that are often quite hard to read, the book is written very lively. 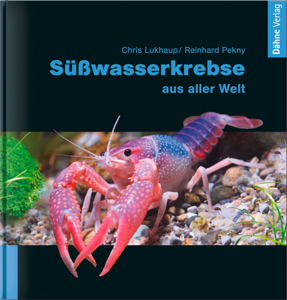 The book contains maximum information about the habitats of fish: pH, hardness, phosphates, nitrates, oxygen levels, and other information, it is impossible to get it from anywhere else. In the book there are 240 species of fish. Many of them have not been photographed in the wild before, and some have not yet been described. 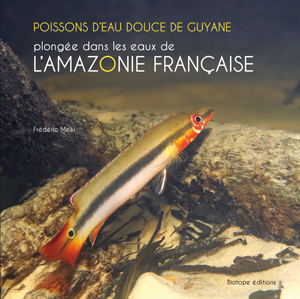 From this book you will learn all about fishes of French Guiana in their natural habitat. 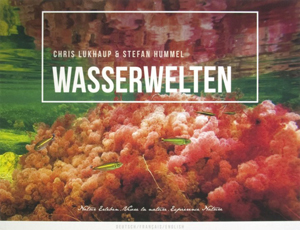 The publication is perfectly illustrated with underwater photographs. They allow a deeper understanding of how fishes live. How do they inhabit the natural environment? How do they eat? How do they breed? Where and at what time can you find different species? At day time? At night time? During the drought? In the rainy season? This interesting, richly illustrated book introduces an amazing treasure of nature of Guiana to the widest possible audience. Fish is a priceless treasure, but fragile, which now is under threat due to human activities. 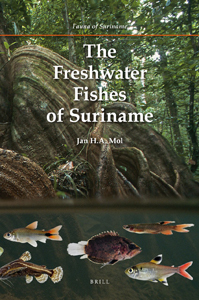 With some 480 currently known fresh- and brackish-water fish species, Suriname has a rich inland fish fauna that is related to the most diverse freshwater fish fauna on planet Earth, i.e. that of the Amazon River. Interest in the freshwater fishes of Suriname by naturalists and scientists extends back over more than two centuries. Suriname is undoubtedly the site of origin of the oldest extant preserved specimens of South American fishes and 19 Surinamese fish species were described and figured by Linnaeus. Building on ichthyological studies initiated in the 1960s by the Brokopondo Project, this book provides an introduction to the freshwater fish fauna of Suriname, including identification keys, photographs of the species and descriptions of their habitats, that should be especially useful to decision makers, conservation biologists, aquarium hobbyists and eco-tourists.